Let’s All Eat! 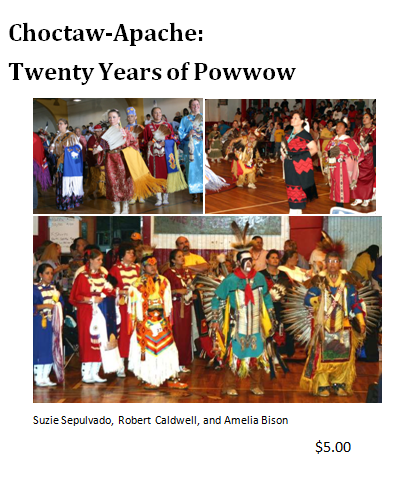 and Something Sweet with Rhonda Remedies Gauthier and Choctaw-Apache: Twenty Years of Powwow with Suzie Sepulvado and Amelia Bison. They are available from the office for $5 plus shipping. 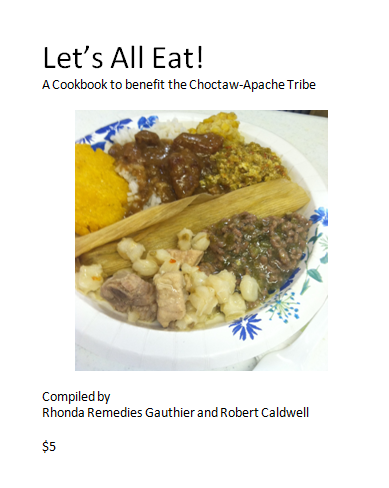 I hope to publish them electronically with all proceeds after costs to benefit the tribe in Fall 2014.